SharkBite Female Connectors combine innovative push-to-connect design with a standard FNPT adapter on the opposite end. The push-fit end is compatible with copper, PEX, CPVC or PE-RT pipes and can be installed with no solder, glue, unions or tools required. 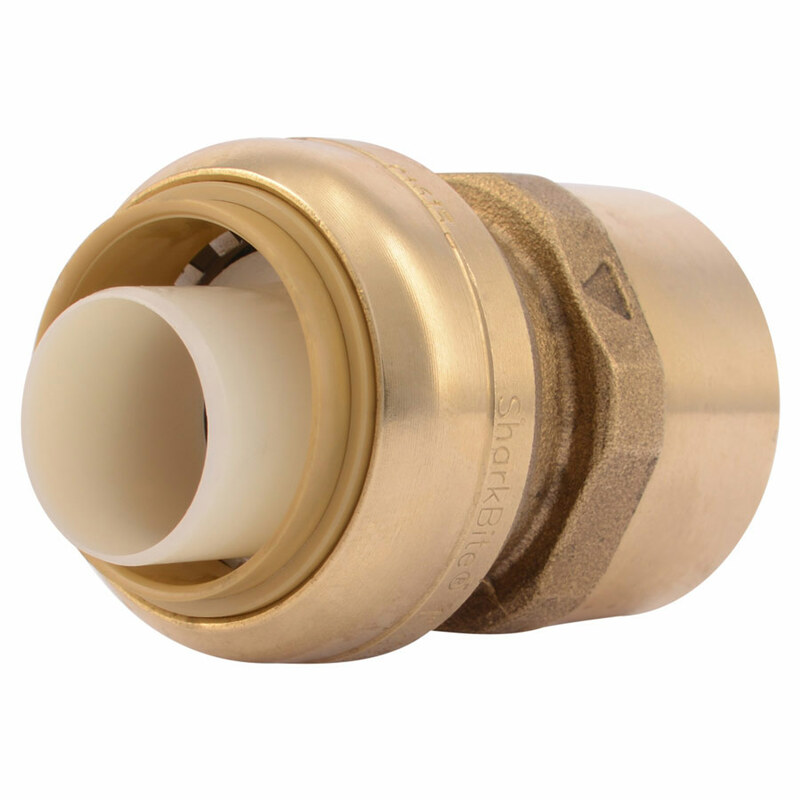 These fittings are rated to 200°F and 200 PSI.